Thanks to the incredible work our team has accomplished, Razor has been recognized with numerous awards over the last few years. Razor Consulting Solutions founders recognized as the North Dakota Small Business Persons of the Year by the U.S. Small Business Administration. 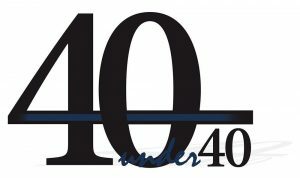 Razor Consulting Solutions CEO, Eric Mauch named to the Top 40 Under 40 by Prairie Business Magazine. 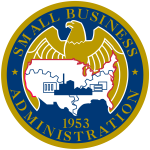 Razor graduates from the US Small Business Administration's Emerging Leaders program, focused on optimizing small businesses for rapid growth. 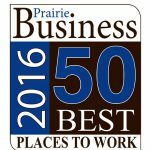 Razor Consulting Solutions named one of the 50 Best Places to Work in the North Plains by Prairie Business Magazine. 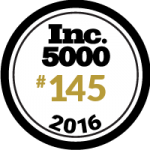 Razor Consulting Solutions recognized as the Fastest Growing Private Company in North Dakota according to the Inc. 5000. Razor Consulting Solutions' Managing Partner, Carla Schwartzenberger named one of the Top 25 Women in Business by Prairie Business Magazine.